Wellness makes the best wet puppy food of 2019. It's a delicious and nutritious choice for your puppy, whether it's her main course or way to enhance the flavor of her dry food. 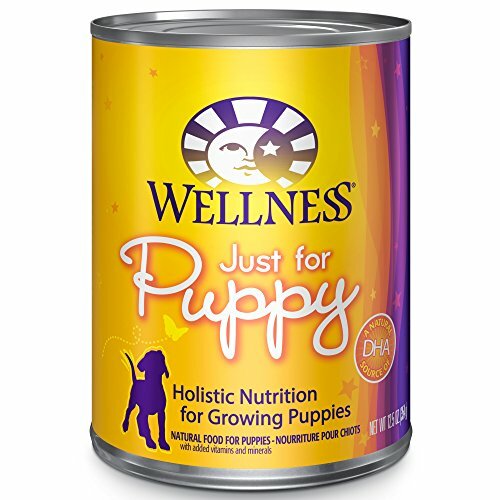 Read more about Wellness canned puppy food below. There are a lot of benefits to buying canned food for your puppy. Because of the canning process, there is no need for the preservatives and extra processing that goes into making dry fo﻿﻿﻿﻿od. This mean the ingredients your puppy is eating are more whole and nutritious. The downsides are the price and inconvenience. Wet food is heavier and harder to ship so it costs more. It can also be more difficult to bring home a large amount from the store (a good alternative is to buy online). It spoils much faster than dry food once opened, so it must be packaged in much smaller amounts. But if you can get past the price and convenience of dry food and put your puppy’s health and nutrition first, wet food is the right choice for you. Many people with smaller breeds choose wet food. Since they don't have to buy so much of it, it's easier to afford. Now that you’ve decided on canned food, you need to find the best wet food for your puppy. The main thing to look at are the ingredients. This is easier with wet food than dry food because dry food needs many more supplemental ingredients to make sure the food is nutritious and preserves well. Wet food is canned so it doesn’t have that problem. Look for whole foods with specific names. A good test is that when you read the ingredients, you can picture each one. For example, when you read “chicken,” you can easily picture a chicken, but when you read “poultry,” what pops into your head? Chicken? Turkey? Duck? Goose? If the manufacturer won’t be specific about their ingredients, then they’re probably trying to hide something from you. Don’t worry, we did the research for you and found 5 of the best wet dog foods for puppies. All of these brands are trusted to provide proper nutrition for your pup. And if you want to know more about puppy food in general, we've packed a ton of information in our post about puppy food. (9% minimum Protein, 7% minimum Fat, 1% maximum Fiber, 41.2 kcal/oz) The main ingredients include chicken, chicken broth, salmon (a natural source of DHA), sweet potatoes, ground barley, carrots, ground flaxseed, and canola oil. Wellness ensures that their recipe is nutritionally balances with fruits, veggies, vitamins, and minerals, along with a strong source of proteins and fats. They use real-food, high quality ingredients so you know your puppy is getting the best so she will develop strong muscles, bones, organs, and teeth. They also make their products in North America, so you know it’s going to be good. (10% minimum Protein, 7.5% minimum Fat, 1.3% maximum Fiber, 41.2 kcal/oz) The main ingredients include chicken, chicken broth, chicken liver, carrots, peas, sweet potatoes, whole ground brown rice, whole ground barley, and fish oil (source of DHA). 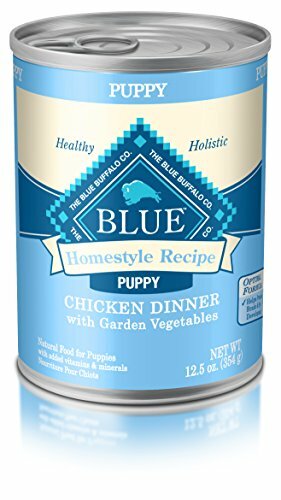 Blue Buffalo was inspired by their own dog, Blue, and her need for proper nutrition. They use natural, high quality ingredients so your puppy will have a great source of amino acids, complex carbohydrates, and vitamins needed to have bounds of energy. The fruits and veggies like sweet potatoes, carrots, blueberries, and cranberries are nutrient rich and delicious. This recipe is specially formulated to promote muscle growth and cognitive development for a strong, smart pup! (8% minimum Protein, 5% minimum Fat, 1.5% maximum Fiber, 31.6 kcal/oz) The main ingredients include beef, beef broth, beef liver, carrots, oat bran, brown rice, potatoes, dehydrated potatoes, and canola oil. 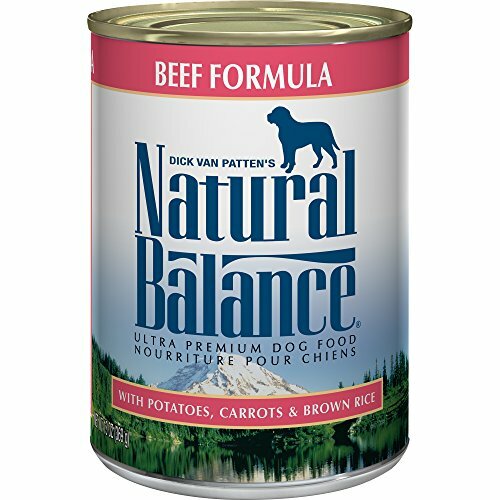 Natural Balance prides itself on wholesome ingredients to promote whole body health and growth for your puppy. The recipe assures a high digestibility with no artificial flavors or colors. This blend of beef, grains, and veggies is great for providing energy and nutrition for your growing pup. It includes balanced omega-6 and omega-3 ratios to support healthy skin and a smooth, silky coat. (9% minimum Protein, 6.5% minimum Fat, 1.5% maximum Fiber, 32.5 kcal/oz) The main ingredients include chicken, chicken broth, chicken liver, brown rice, pearled barley, eggs, guar gum, and sunflower oil (source of omega-6 fatty acids). 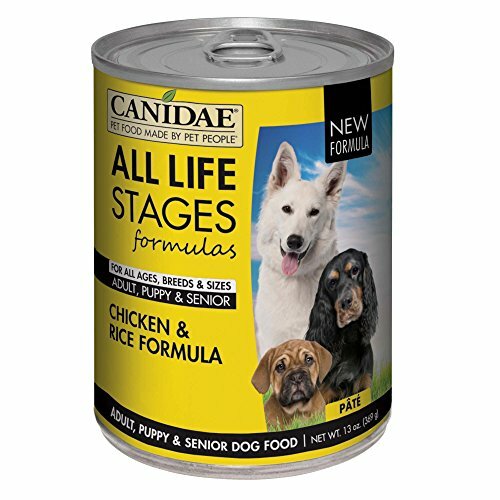 Canidae makes this formula nutritionally dense to keep your puppy feeling full and satisfied after eating every meal. They pride themselves on their quality, whole ingredients and never use corn, wheat, soy, or chicken by-product meal. This recipe is tasty as can be with optimum protein from meat. 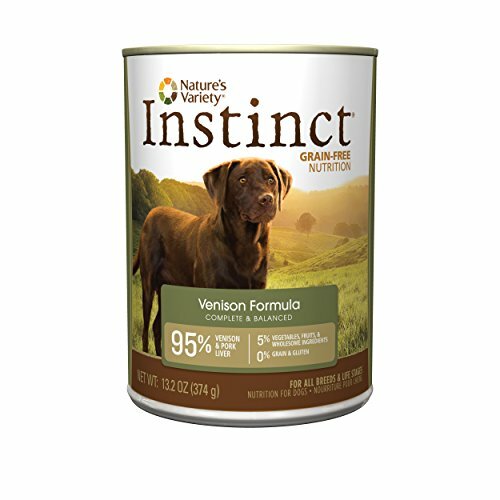 This is also a good choice for puppies with food sensitivities since the only protein sources are chicken and chicken liver. (11% minimum Protein, 6% minimum Fat, 3% maximum Fiber, 41.5 kcal/oz) The main ingredients include venison, pork liver, water, ground flaxseeds, montmorillonite clay, peas, carrots, and lecithin. This product is grain-free and you won’t find any useless fillers to weigh your puppy down. Nature’s Variety uses real meat, wholesome fruits and veggies, and it’s complete and balanced for all life stages. With this food, your puppy will have a hearty and nutritious diet to help her grow up big, strong, and smart. It also comes in other protein varieties including beef, duck, lamb, rabbit, salmon, and chicken. You can switch it up so your puppy won’t get bored with the same old food every day. Now you know what the best wet puppy foods are and you can make the decision yourself. Try out a few and see what your puppy likes best, though with an enticing aroma enhanced by the moisture, a puppy would be hard-pressed to deny any of these delicious, nutritious choices. Remember, what you feed your pup matters. We’ve all heard the saying, you are what you eat so don’t let your puppy gobble down useless fillers and harmful preservatives. After all, she is a member of your family now. It’s your responsibility to make sure she stays happy and healthy. In return, you will receive unconditional love and affection. That sounds like a good deal to us.